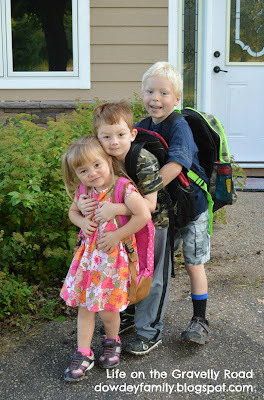 Before all the excitement of adoption day, our three kids made it through their first few days of the new school year. Ike is in first grade this year. 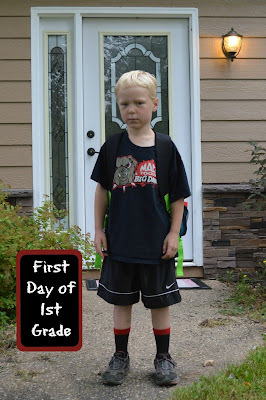 He was not thrilled to have his picture taken on his first day as he was fairly nervous since his teacher was at a family funeral during open house and didn't get to meet her ahead of time. But after 3 days, he says he likes first grade! 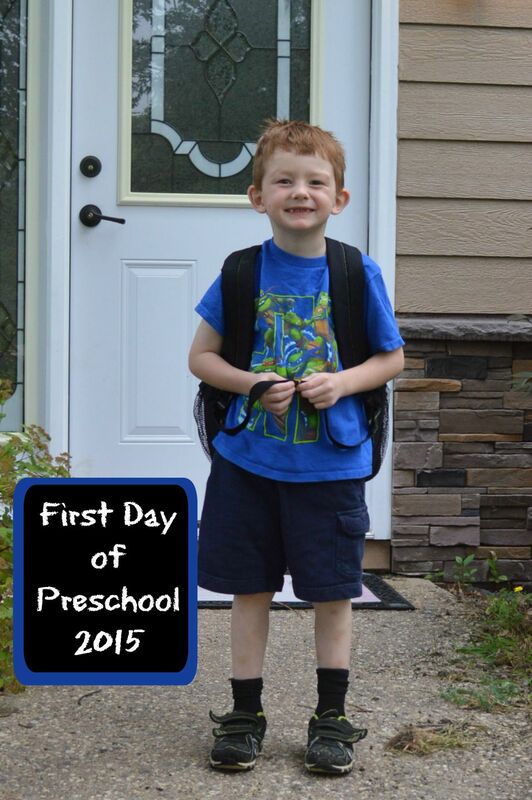 "Z-man" is in preschool 5 mornings a week and loves being in the same classroom as last spring. He was so excited to be able to help the other kids "know how it works". "Peaches" is in preschool 2 mornings a week and loves her class and her teacher. She would love to go to school every day like her big brothers but its nice to have some time with just the two of us too. 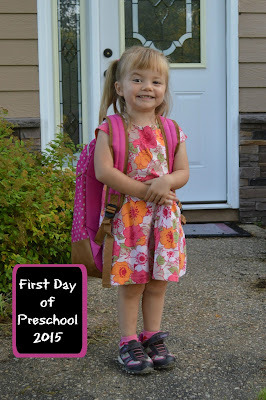 Little Sister's first day was the brothers' second day, and they wanted to take a few more pictures that turned out pretty cute. 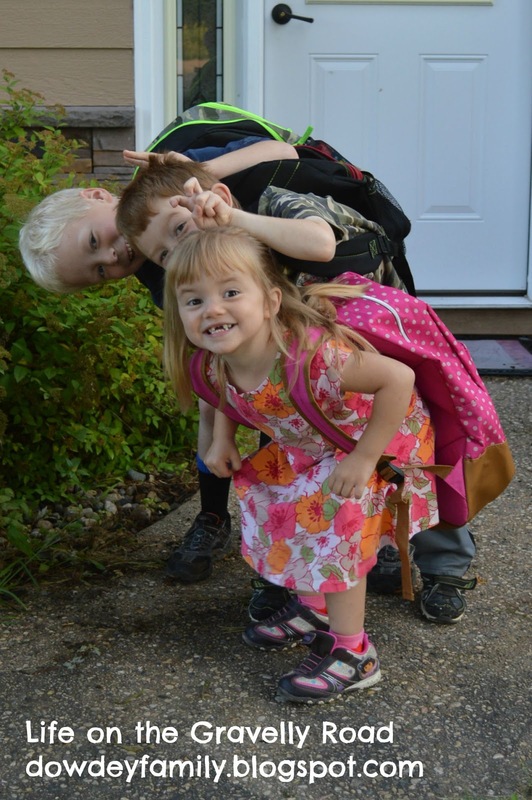 I ask for a special blessing on the school year adventure ahead of each of our children. Guide their teachers as they give guidance, encouragement, and build the tone of their classrooms. Grant them your discernment for those moments when a child's tears or frustrated words are coming from a deeper hard place than just a tough morning. May their classrooms be places of learning and inclusion, a safe place to try, fail and try again. Watch over our three as they build friendships, face challenges, try new things, handle squabbles with classmates, and discover more about the world and this thing we call education. Guide their words and actions so that they are kind and compassionate to those around them.